I am a mother of six children who all read books. These books were often purchased at second hand places so before reaching our house they had all ready been enjoyed by others. Now, my grand-children are reading many of the books that their parents read. They are good books and many of them are in good condition. There are some though that did not survive the reading(s) so well. Teaching our children to care for books was a constant battle. It was something that they often would remind each other of as well. Book tape was something we kept on hand as well. Book tape can help books last a few more years of readings. Likewise, book jackets work as well. Spray 24 mini muffin cups with cooking spray; set aside. Beat together butter, sugar, and brown sugar until smooth. Add peanut butter and mix just until blended. 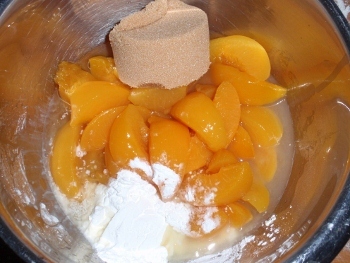 Gradually add flour mixture to wet mixture, just until blended. Place one ball into each of the 24 muffin cups. Bake for 12-15 minutes, or until lightly golden. Unwrap Hershey's Kisses while cookies are baking. 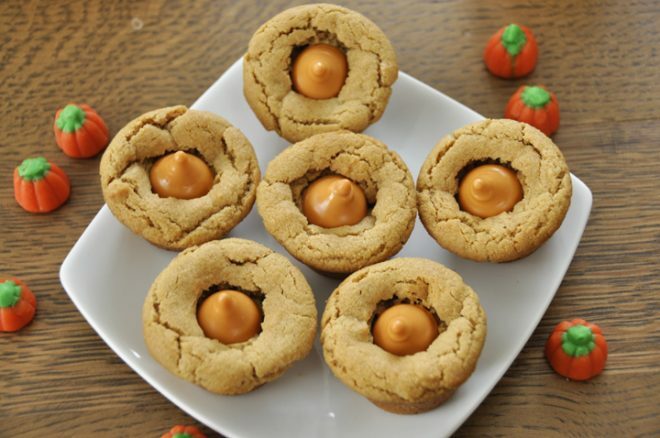 Immediately press one pumpkin spice Hershey's Kiss into the center of each cookie cup. Allow to cool about 5 minutes, remove cookies from pan and let cool completely on rack. Do you know Chaim Witz?? If you are a Kiss fan then you know that this is the true name of Gene Simmons. Simmons was born August 25, 1949 and has wore many hats in the musical world. From singer, songwriter, record producer, entrepreneur, actor and television personality. 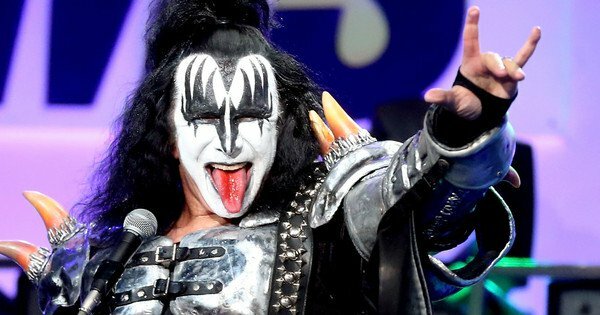 Some may even know the man Gene Simmons as his stage name "The Demon" when he plays bass guitar as well as co-lead singer of KISS. Simmons co-founded this band with his band Paul Stanley in early 1970s. Whether you call him Chaim or Gene the birthday of August 25, 1949 fits well. Born in Rambam Hospital in Haifa, Israel and later immigrate with is mother to New York City. His mother had been a holocaust survivor and his father also from Hungary stayed behind and did not move with family. Gene kept many jobs including a teacher and secratary. Gene Simmons early musical influence was the Beatles. Simmons first band was Lynx also known as The Missing Links. He formed this group as a teen. When the group broke up he went on to form The Long Island Sounds. Simmons worked odd jobs on the side to make more money, including trading used comic books. February 1974 KISS released their debut album by the title KISS. Gene Simmons would start up an extensivee KISS merchandising franchise. 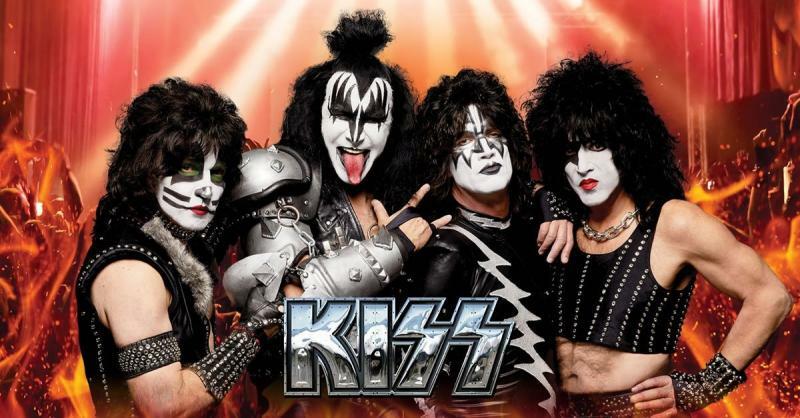 Each member of Kiss in the beginning had their own style of makeup. In 1983 they removed their makeup and became popular with a new crowd. August 25 1916 is the date in history when President Woodrow Wilson signed the Organic Act. This act established the National Park Service. The Department of Interior oversees the National Park Service. There are more than 400 areas in the United States, territories and District of Columbia totaling 84 million acres. 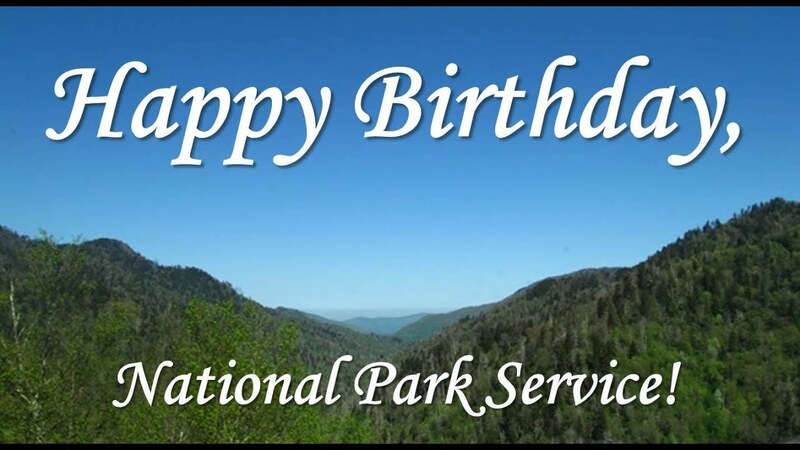 Today is the day to pay respect to the superior conservation and preservation efforts of the National Parks System. With the many trails, open scenery, waterways, or recreational areas the national parks provids a natural outdoor resource that every American should be able to enjoy. Have you ever heard of a Persian apple?? 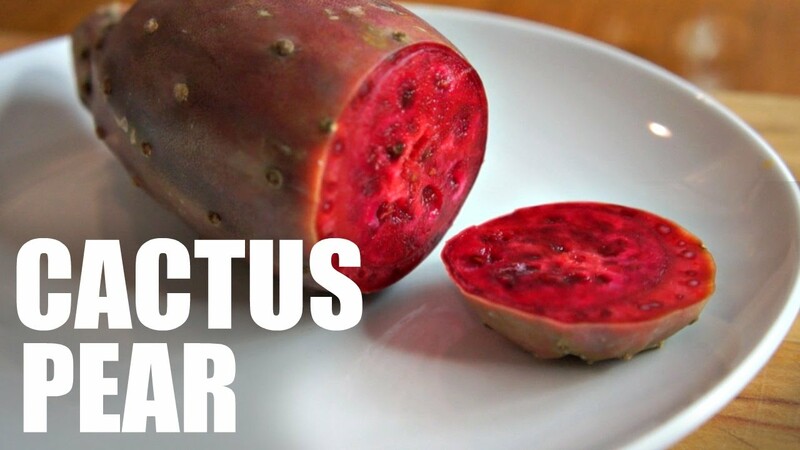 You may not have since the title of this fruit has changed through time. If you have heard of a peach though then you know what a Persian apple is and a most unique trivia question as well. If anyone uses the term "You're a real peach" to describe you then know that you are very sweet to them. 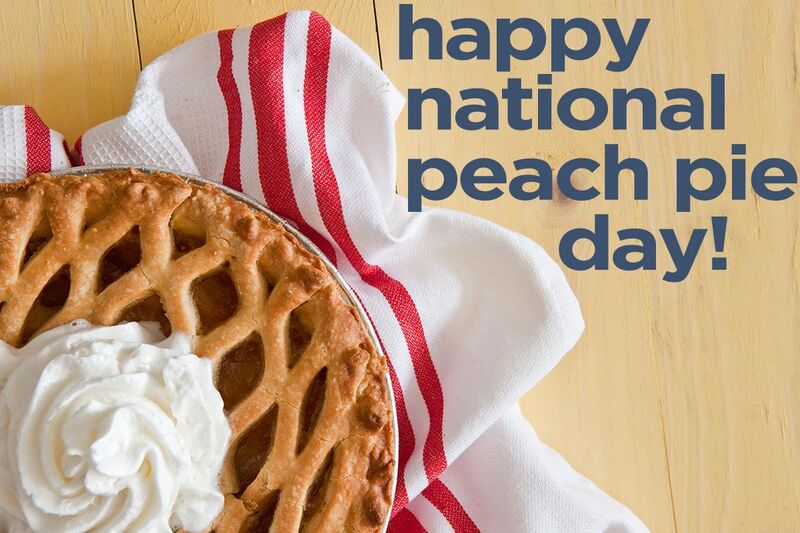 This term originated from the tradition of giving a peach to the friend you liked. 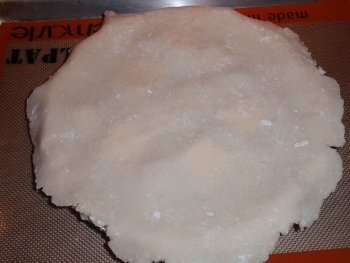 Prepare your pie crust using your choicee of pie crust. 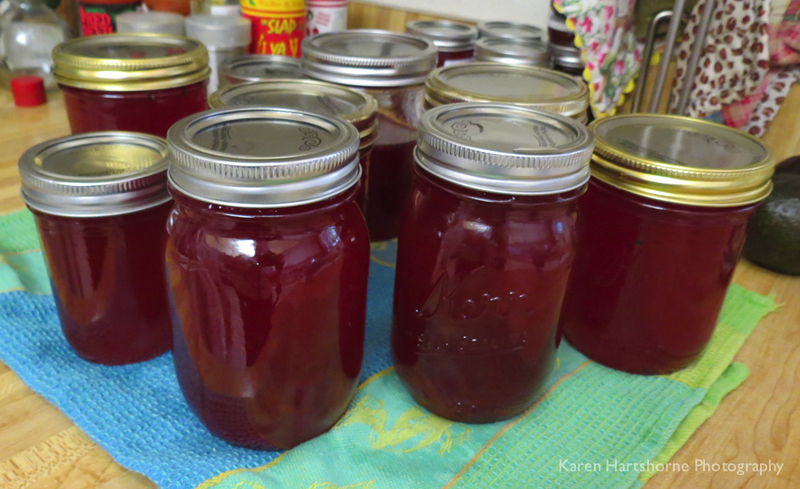 Drain the peaches well, reserving the liquid. 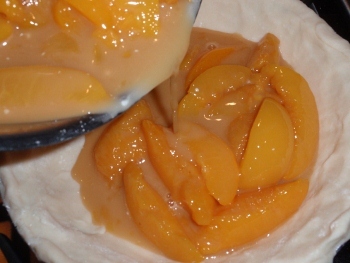 In a medium bowl, combine the drained peaches, 1/3 cup of the reserved syrup, the packed brown sugar, lemon juice, cornstarch, salt and the almond extract. 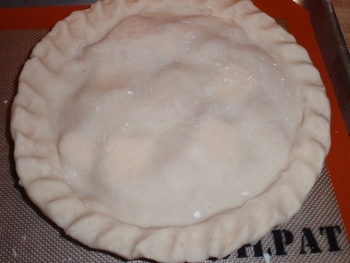 Place the pie shell on a baking sheet just in case the filling bubbles over (I hate having to clean up a mess in the bottom of the oven.). 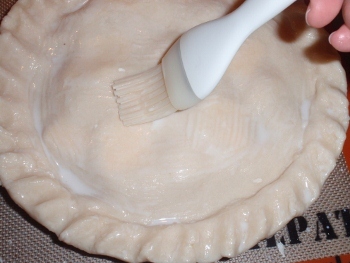 Don't poke any holes in the bottom of the pie shell or you'll have a soggy bottom crust. 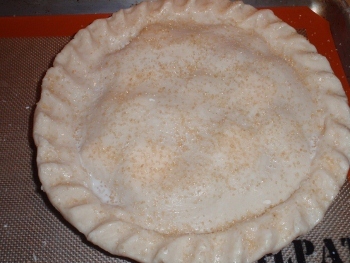 Pour the filling into the pie shell. 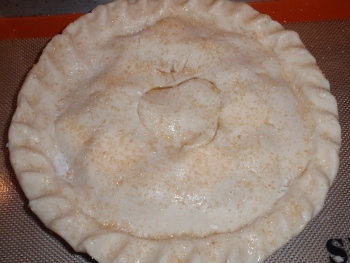 Spread the filling evenly over the pie. 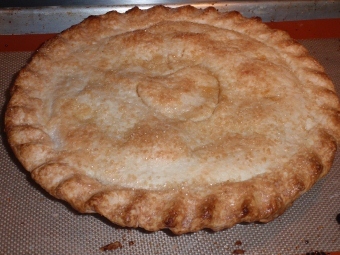 Cut slits in the top of the pie to allow the steam to escape. Placed the pie on the bottom rack of the oven. This will ensure that the crust cooks quickly. You don't want your bottom crust to be soggy. Bake in the preheated 400° F oven for 45 minutes. If your crust begins to brown too quickly, you can always cover the edges with aluminum foil. 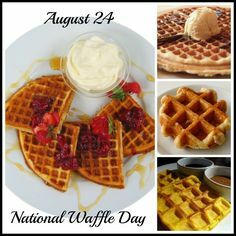 National Waffle Day occurs August 24th each year. August 24th was the date on the patent of the waffle iron that Cornelius Swarthouts created in 1689. Sweden was the first to celebrate this holiday. While waffles are often ate at breakfast time or as a snack their are many recipes waffles can be shared at any meal. 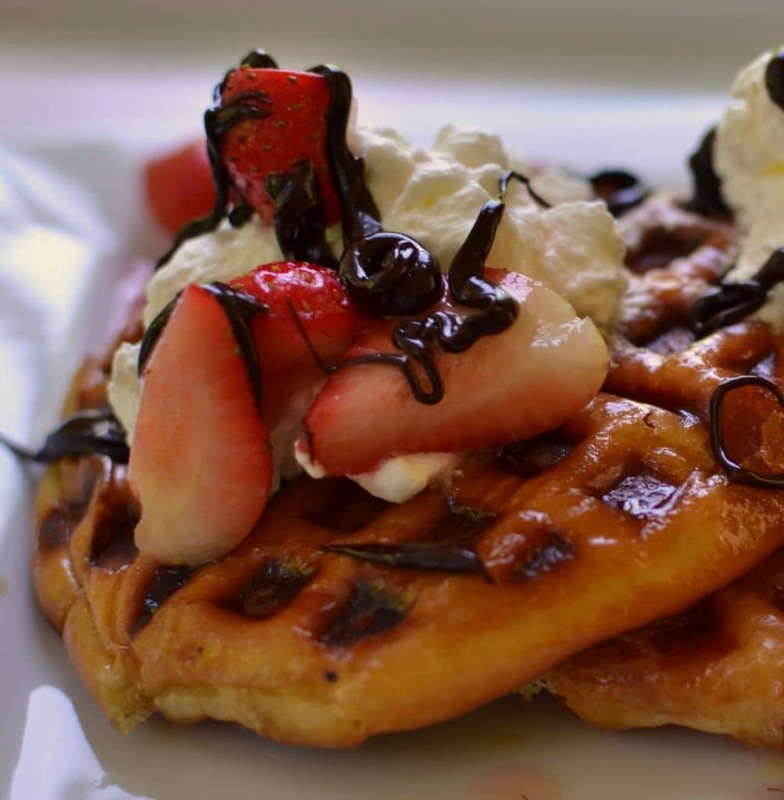 It is believed that waffles originated during the middle ages. Made up of flour and water in the early days later flavors would be added as crusades spread the word about these oubiles as they were known then. Waffle irons were created during the 1200s. They were created in shape of "honeybee hive" which translates to "wafla" which was later changed to "waffles" Soon waffles would becomee a common meal for all social classes and street waffle vendors would be regulated by King Charles IX. In small bowl sprinkle strawberries with sugar and set aside. In stand mixer combine whipping cream and powdered sugar. Whisk just until the whipping cream reaches stiff peaks. Preheat waffle iron and spray heavily with nonstick cooking spray. Add one donut at a time, close lid slowly but do smush it a little bit. Cook until golden brown 30-60 seconds. Top with whipped cream and strawberries. Drizzle with hot fudge sauce. Place metal bowl and whisk attachment in freezer for 15 minutes prior to making the whip cream. Bit of Trivia: Candy Corn was originally called Chicken Feed because of it’s resemblance to corn. It was enjoyed by farming families because it was something they could identify with. The Tohono O'Odham in southern Arizona harvest this fruit every year. Soak the wooden skewers (if using for onions, padrons, and/or peaches) for 20 or more minutes so they won’t burn. Meanwhile, prepare veggies. Squash: Slice about ½ inch thick lengthwise. Eggplant: Slice Italian (chubby) eggplant about ½ inch thick crosswise. Slice Japanese (long thin) eggplant ½ inch thick lengthwise. Onions: Slice across the grain (like for onion rings) about ½ inch thick. Carefully thread skewers into onions to hold rings together. Gently push the skewer while twisting it back and forth. Metal skewers are easier to use than wooden for onions. Peppers: Cut bell peppers in half. Leave flat or small peppers whole. You could choose to thread small peppers onto wooden skewers to flip them more easily on the grill. 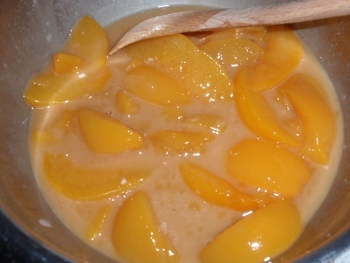 Peaches: Slice peaches in half and remove pit. If large, make 1/2 inch slices. You can choose to skewer these together to handle more easily as they’ll become soft on the grill, especially if peaches are small. You could also cook them in a grill basket. Corn: Pull back corn husks and remove silk. We like to keep the husks on because it looks cool and gives guests a “handle” to pick the corn up. Since we also like the corn to brown and caramelize on the grill, we tie back the husks with cotton string. If you’re grilling with husks, SOAK the corn and string in water for 20 minutes before starting to grill. Otherwise they’ll catch fire surprisingly fast for something that looks green. Of course, no one is going to complain if you choose to discard the husks instead. Squash, Eggplant, and Onion: Pour about ¼ cup olive oil into small bowl and brush oil over both sides of each veggie slice. An inexpensive silicone brush makes brush cleanup a breeze. Salt and pepper both sides and pile on a platter. Refill bowl with a little more oil as needed. Peppers: Brush with olive oil on all sides, or (if not on skewers) put them into a bowl with some oil and toss with hands until coated. Salt and pepper if desired, and add to platter with other sliced veggies. 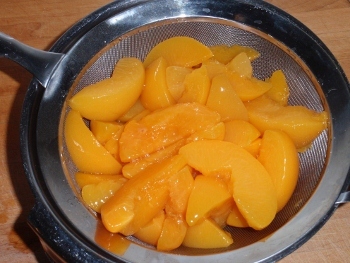 Peaches: Brush with olive oil on both sides and sprinkle with a little salt and pepper. The salt, according to culinary wizard India Joze, brings out the sweetness of the peach. And a little pepper adds spice. Corn: Remove from soaking bath if using husks, and tie back husks with (soaked) cotton string so they won’t stick into flames. Brush lightly with olive oil and salt and pepper lightly if desired. Bruce sometimes spreads the corn with melted butter instead. Preheat grill. Use either charcoal or gas. You may need to finesse the techniques below to accommodate your grill’s idiosyncrasies. On charcoal grills, it’s recommended to let coals burn down a bit so they’re not super-hot. Use this time to grill fish or a small steak! If your grill is large (with more air space.) you might be able to cook the veggies when coals are hotter. On gas grills, cooking veggies over indirect heat is sometimes recommended. We’ve had better luck grilling them directly over the burners. It depends on how “cool” your grill is. Do use wood chips to give your veggies a smoky kick. Put veggies on hot grill. Turn periodically to cook all sides (corn and whole peppers), or flip to opposite side when partly done (sliced veggies, peppers, and peaches). Inexpensive non-locking grill turner - tongs are the best tool for this. For the best-looking grill marks, avoid cooking more than twice on each side. Squash and Eggplant: Grill on medium for 8 – 20 minutes, depending on how soft you like them and how you plan to use leftovers. Firmer is better for salads, but softer can be good in sandwiches. Flip once or twice (for best grill marks) on each side to grill both sides and assess doneness. Onions: Grill about 10 – 20 minutes on medium, depending upon how soft you like them and how you’ll use them. Skewers will keep them from falling into the grill even if they’re soft. Flip periodically to grill both sides evenly and assess doneness. Peppers: If not using skewers, arrange small peppers crosswise on the grill so they won’t fall through; they will shrink and get soft while cooking. 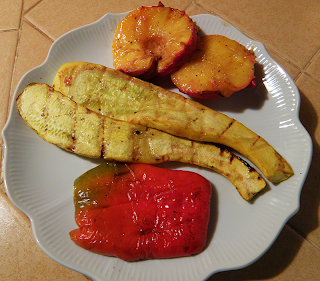 Grill peppers on medium for 8 - 15 minutes, depending upon size and desired doneness. Halved bell peppers will take 8 - 12 minutes, and flat peppers like Hungarian wax will require closer to 10 - 15. Small peppers like Padrons take about 10 minutes, but can be cooked longer for more charring. Turn peppers frequently during the cooking process to assess doneness and prevent burning. Some charring is desirable, but don’t overdo it. 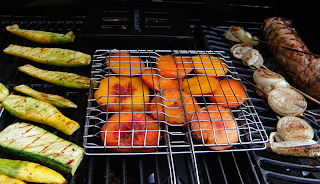 Peaches: Grill on medium heat 6 – 8 minutes. Flip once or twice to cook evenly and assess doneness. Corn: Grill for about 12 minutes on medium heat. Turn in small increments till kernels are roasted on all sides. If husks start to burn, arrange corn so most of husks hang off the grill. Boil for 2 minutes, pour over Chex mixture. Mix together and enjoy. Pecans have been a very important and useful item in August. 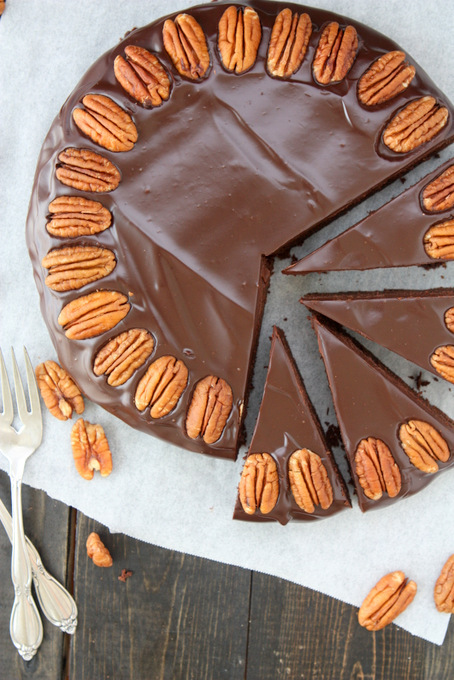 From chocolate pecan pie to today's recipe a pecan torte if you love pecans you are in luck. Texas, another place to love pecans, adopted the pecan tree as its state tree in 1919. There are more than 600,000 pecan trees in Albany Georgia which makes it the pecan capital of the United States. Preheat the oven to 350 F. Butter and line an 8″ springform pan with parchment. Melt the bittersweet chocolate with the butter, either on the stovetop over low heat or in the microwave in 30-second increments, mixing until 100% smooth. Set aside to cool slightly. With the whisk attachment, beat together the eggs, sugar, vanilla, and salt, until foamy. Stir in the melted chocolate, add the ground pecans, and cinnamon. Pour into the prepared pan and bake for 25-30 minutes. The edge of the cake should be set. When the cake is cool, remove it from the pan. Heat the heavy cream until almost boiling, then remove from heat and add chocolate chips. Let the mixture sit for one minute before stirring until completely smooth. Pour over the top of the cake, smooth the top, and decorate with the toasted pecan halves. Let the ganache set for at least two hours before serving. Spumoni is a molded Italian ice cream made with layers of different colors and flavors. 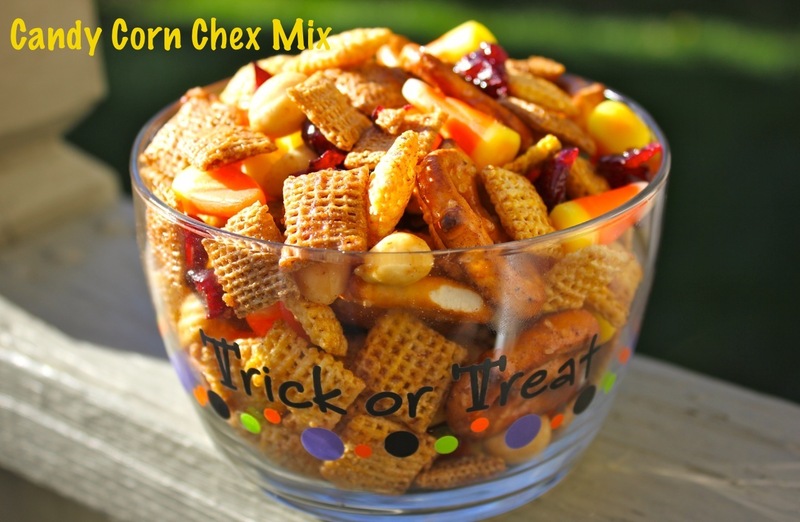 There are normally candied fruits and nuts in the combination. 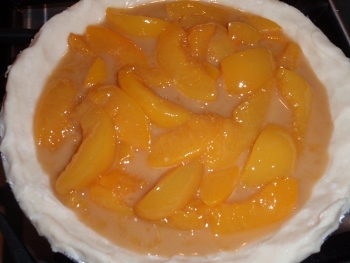 The dessert normally is made with three flavors with fruit and nut layer between them. The icecream layers are normally mixed with whipped cream. 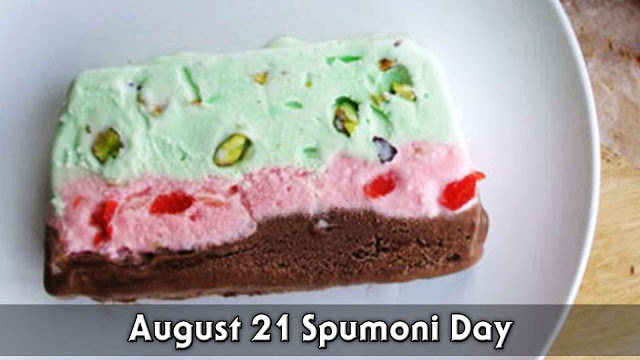 August 21 is National Spumoni Day in the United States. In Canada Spumoni day is November 13th. Spumone (from spuma or "foam"), plural spumoni, is a molded Italian ice cream made with layers of different colors and flavors, usually containing candied fruits and nuts. One popular variation of spumoni is Neapolitan ice cream Neapolitan consist of vanilla, strawberry and chocolate. we often enjoy our ice cream along side some cookiees so I thought why not. Spumoni cookies are a twist on the Italian ice cream Like the ice cream the cookies are very pretty and festive. So whether you try them now or save them for a later time they are delicious and so much fun. Line 9×5 loaf pan with plastic wrap. Let plastic wrap overhang edges of pan. Cream butter; add sugar and beat until light and fluffy. Mix in egg and almond extract. Add dry ingredients and beat well. Divide dough into thirds. Add chopped nuts and green food coloring to one third of dough. Press into prepared loaf pan; cover and freeze for 10 mins. Press second portion of plain dough on top of green layer and freeze for another 10 mins. Add chopped cherries and red food color to last third of dough. Press over plain layer in pan. 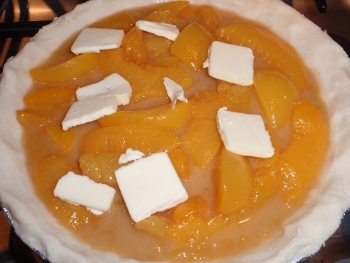 Cover with plastic wrap and chill for 4 hours or overnight in refrigerator until firm enough to slice. Heat oven to 350o F. Remove dough from refrigerator; unwrap. Using a serrated knife, cut across three layers from short end of rectangle. Then cut that slice into thirds. Place 2″ apart on ungreased cookie sheet. Bake for 10 to 12 minutes. My two favorite seasons of the year are spring and fall. They are both cool weather months or can be and yet they are both very different. Spring is where all is starting to awake, grow and come to life and fall seems to have its own gift of going to sleep, hibernating and yes seeing parts die off. I live in an area that currently is over-populated with all the eclipse fans. Soon though, our guest will go home and the beauty of the forest will still be here for us to enjoy. As a family we will enjoy fall scenery on car rides, hikes and simply getting out there to enjoy the beauty that fall has to offer. Fall offers a great harvest of fresh produce as well. Broccoli is a green cruciferous vegetable that is packed with folic acid, vitamin K, A, and C. You can eat broccoli raw or cooked, It is great in cold salads, pasta, or try it sauteed in oil and garlic. Many kids like to eat "broccoli" raw and refer to the small pieces as "trees". Broccoli was a popular food of ancient Romans and once grew wild on the shores of the Mediterranean sea. In the 1920s broccoli became a popular food in the United States. Place half an inch or less of water into a large saucepan to a boil. Chop the broccoli into large chunks and place into the boiling water, stirring until each chunk is wet, until just tender and still vibrant green. Transfer broccoli to the bowl of a food processor and add remaining ingredients, processing until pureed. Return mixture into saucepan and warm over medium heat for about 3 minutes for a thick sauce that can be thinned with water if preferred. Adjust seasonings accordingly. Makes 6 servings. 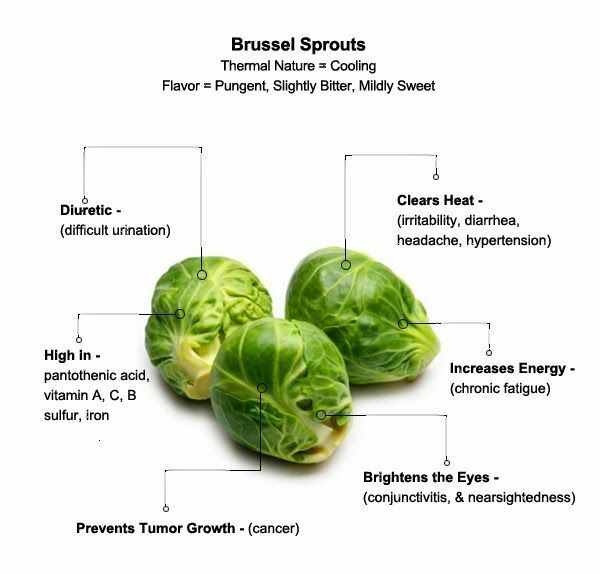 Brussel sprouts were named for city in Belgium where the vegetable was introduced. A member of the cabbage family brussel sprouts have been cultivated in Italy during the Roman Empire. In the 1800's Brussel sprouts were brought to the U.S. by European farmers. The best flavor of brussel sprouts comes about when they are placed into a very small amount of water and steamed, drained and quickly served with only a little salt. Steamd brussel sprouts go well with honey mustard or cheese sauce. You can also roast in oven and serve with parmesan cheese. A good source of fiber, folate and iron. Pumpkins are famous around Halloween and Thanksgiving by many but there are many benefits of pumpkins that are present year round. Pumpkins are a powerhouse of nutrition. A natural immune booster with vitamin a and c as well as beta carotene. 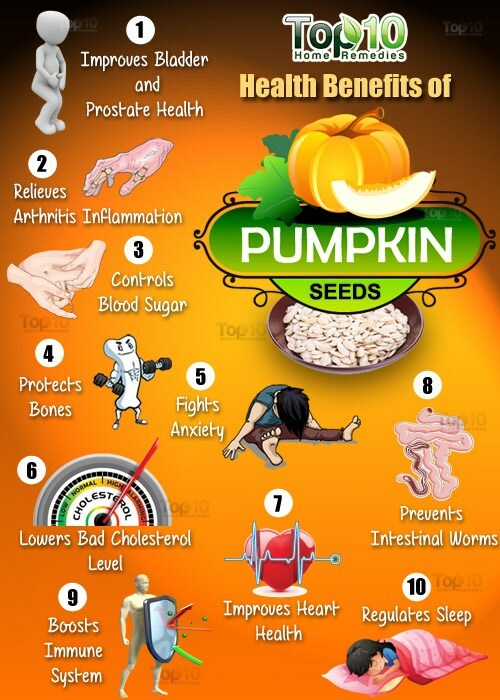 Pumpkin seeds have become a loved snack by many. Did you know that these seeds are high in manganese, magnesium, phosphorous, copper, zinc, iron, kryptophan and protein. They are also good source of vitamin E, K, C and B. Pumpkins however are not vegetables but fruits. Pumpkins have been cultivated in America for 5,000 years. Spinach was originally known in England as "the Spanish vegetable" Spinach is a leafy green veggie that may have came from ancient Persia traveled to Nepal and then to China. In China spinach is known as "Persian Greens" Spinach is consumed in a greater amount now than it was years ago. This may because it comes in a greater variety of ways than the original seaweed in a can. 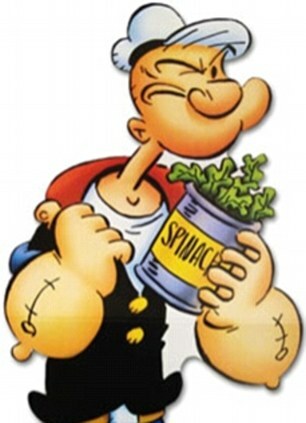 Popeye helped make spinach famous in the cartoons during the 1960s. While it may not make anyone into popeye spinach is rich in iron, fiber, and folic acid. Spinach is often served as side dishes, in soups and raw on sandwiches and in salads. In a medium saucepan, combine milk, water and garlic. Heat slowly until very hot and steamy. Let stand, covered, for five to 10 minutes. This allows the garlic to soften. Melt butter in another medium saucepan over medium high heat. Whisk in arrowroot, then add hot milk mixture, whisking until smooth. Stir in spinach or chard, and cook until sauce is thick and bubbly and the spinach is tender but still green, about six minutes. Stir in cheese and season with nutmeg, salt and pepper. Serve immediately. Sweet Potatoes often found during the holidays has much more to offer Sweet potatoes are native to Peru and were discovered by Columbus. This vegetable is part of the morning glory plant family and are not the same as yams but are often mistankingly thought. There is over 400 varieties of sweet potato including some that are rare. WIth a variety of skin and flesh color ranging from cream, yellow and orange to pink and purple as well. Sweet potatoes can be baked and served with butter, salt and pepper, made into potato chips and fries but boiling them may mean a loss of nutrients. 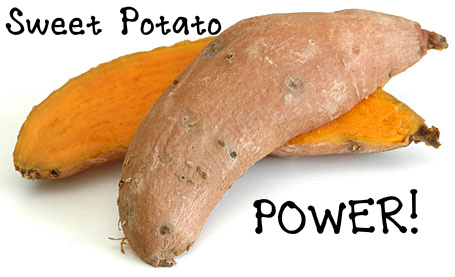 Sweet potatoes hold more nutritional value than the white potato. Hosting vitamin A and C as well as potassium, iron and copper. This is only a handful of the many fruits and veggies that are popular in the fall months. I hope you take the challenge and try at least one of these that I have listed. Enjoy! !